Researchers at Vanderbilt University Medical Center have identified a biomarker for insulin-producing beta cells. Their finding, reported this month in the journal Cell Metabolism, could lead to improved ways to study and treat diabetes. The researchers demonstrated that human beta cells can be positively identified and separated for laboratory studies from other hormone-producing cells in the islets of the pancreas. Using an antibody labeled with a fluorescent tag, they showed they could image human beta cells that have been transplanted into mice. This achievement raises hopes for development of a non-invasive way to image human beta cells and monitor the effectiveness of diabetes treatments. "If someone could measure beta cell mass non-invasively in humans, that would change the way we understand, diagnose and treat diabetes," said the paper's senior author, Alvin Powers, MD, the Joe C. Davis Professor of Biomedical Science in the Vanderbilt University School of Medicine and director of the Vanderbilt Diabetes Center. Due to the small size and location of pancreatic islets, imaging beta cells effectively in patients is currently not possible. Further work is necessary before this approach can be tested in humans, said Powers, former president of the American Diabetes Association. The antibody, which targets the enzyme NTPDase3, was developed by Jean Sévigny, Ph.D., and colleagues at Laval University in Quebec, Canada, to study enzyme expression in the brain. Meanwhile, Vanderbilt scientists found the enzyme on the surface of pancreatic beta cells. These are the cells that are destroyed or dysfunctional in all forms of diabetes. 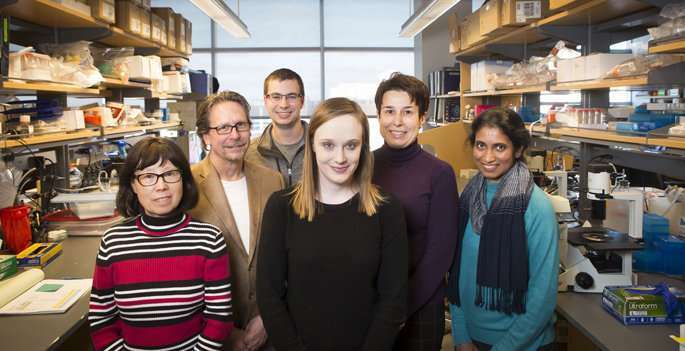 In their studies of the pancreatic islet, post-doctoral fellow Diane Saunders, Ph.D., and colleagues discovered that the NTPDase3 antibody targets only beta cells—not other islet cells. They also found it binds just as well to beta cells from people with diabetes as it does to normal beta cells. This means that normal beta cells labeled with the antibody can be separated from beta cells from individuals with diabetes and examined for differences in their genetic "signatures," Powers said. These studies may provide clues as to why, in type 1 diabetes, beta cells are attacked and destroyed by their body's immune system, a process called auto-immunity. Using tissue samples and research support provided through the Human Islet Research Network, the researchers also discovered—surprisingly—that NTPDase3 is not expressed in beta cells in humans younger than 1 year old. "The biology of this protein changes as humans age," Saunders said. "This raises the question that this dynamic period early in life might be involved in initiating the auto-immune process."